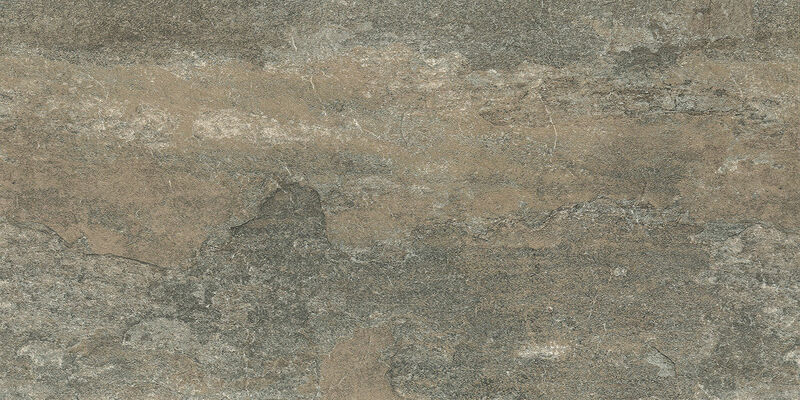 There is no doubting the beautiful natural appearance of slate, from the structure of decoration through to the surface texture. 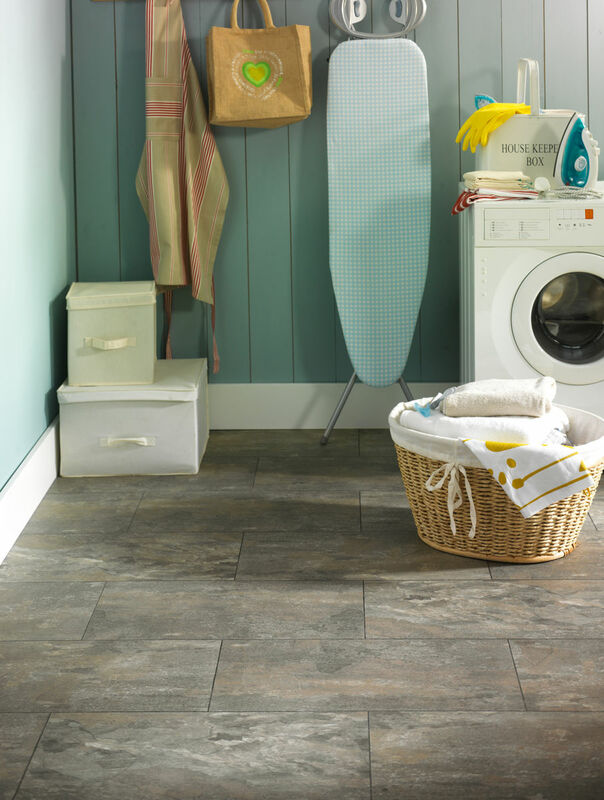 This is faithfully represented in Polyflor Camaro Ocean Slate 2319 Vinyl Flooring, displaying a range of compatible colours successfully brought together. 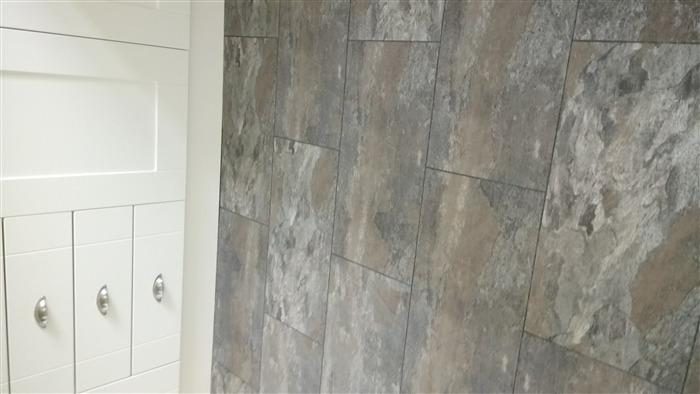 This image shows tiles installed as brickwork with Graphite Grouting Strip. 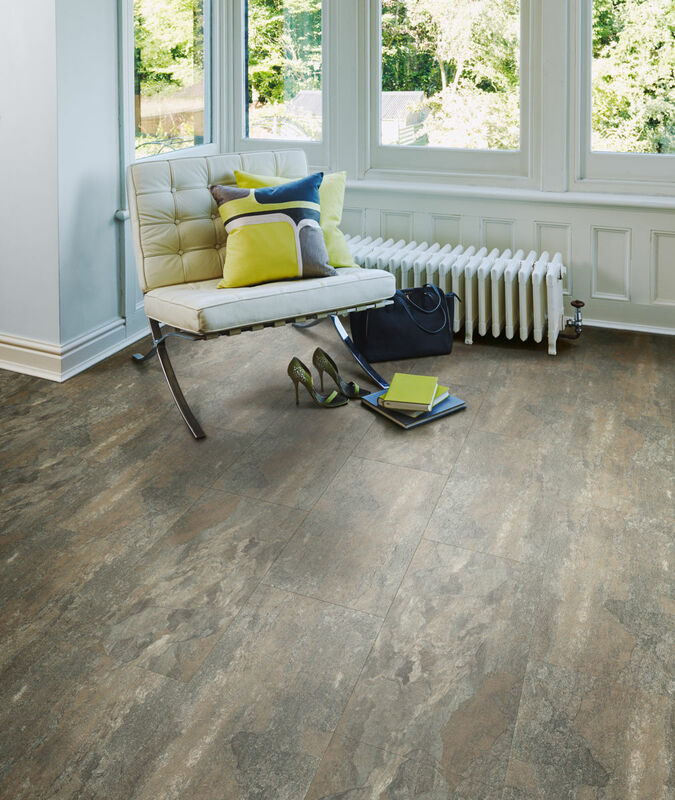 If you'd like to use Design Strips with your LVT floor you can use this page to calculate how many boxes to buy. 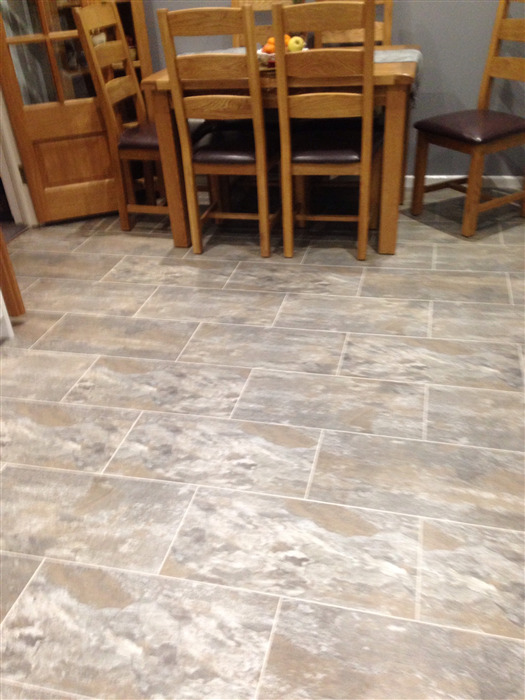 Polyflor Ocean Slate is beautiful and seems to be pretty tough, I'm sure I will get many years of use from it. The adhesive took quite a while to dry but I suspect it was because my tiler used too much, I think it only needs a small amount. Very happy with it though. Helpful advice, delivered as promised, and look great in our home. Good quality and provide the effect we wanted. Lots of positive comments from friends. Does this flooring offer any insulation properties? Hi this product doesn't offer insulation but it is made to be warmer underfoot. 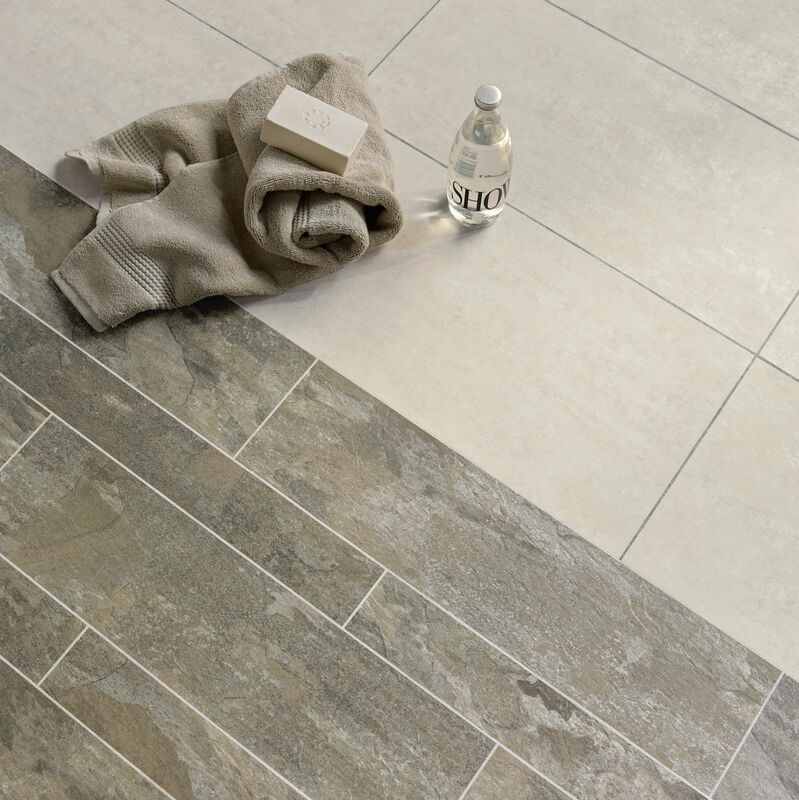 Hi Alan, these tiles comes in squares as standard, but can be cut to any size you'd like. It'll take a little longer and cost a little extra per metre, as they're cut to your specifications, but just give us a call to arrange it. The tiles are installed by gluing them straight to the subfloor. Hi Liz, this floor is glued directly onto the subfloor, with no need for an underlay. 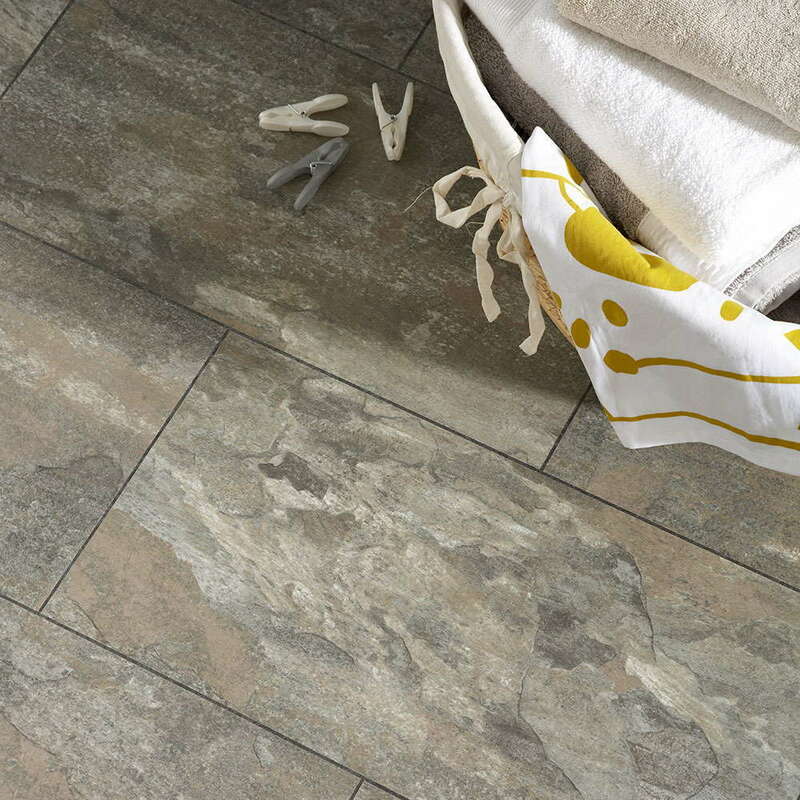 Hi Neil, the grouting strips are completely optional - they're just for creating the right look. I have old wood floorboards with shrinkage gaps between each board, what would you recommend to place over the boards before laying camaro Ocean Slate Vinyle flooring. Hi Stephen, We'd recommend covering the old boards with plyboard (or hardboard) and then screeding the joints for a smooth, level surface. How many grouting strips would I need for room 5.3 wide x 4m long. Tile dimensions 609.6 L x 304.8 W x 2mm thick. Is an underlay required? 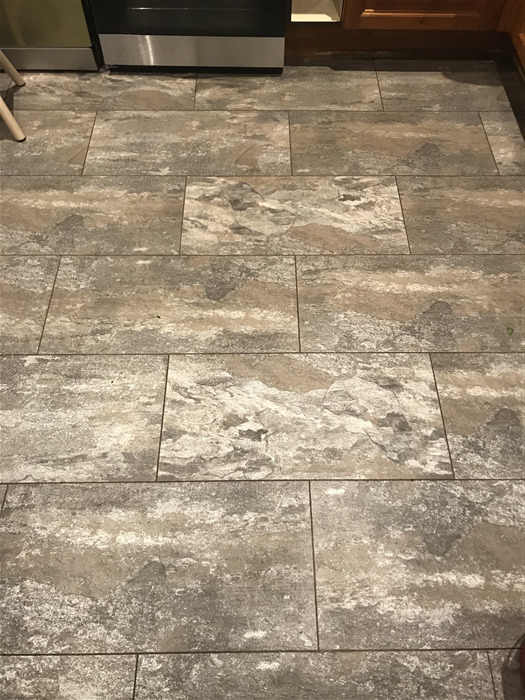 Can I use a steam cleaner on my Camaro flooring?